EPA issued regulations in 1991 to protect groundwater from leaking landfills, and, in 1996, to reduce fugitive landfill gas. Groundwater. However, the agency adopted rules that it knew relied upon barriers that would deteriorate and fail within decades while the threats persisted for centuries. Pollution was only delayed, but not prevented – and only until shortly after the time when the owner’s liability was expected to end. Air. Adopted during a period of de-regulatory fervor, these rules effectively delegated most decisions to the landfill owner, even though, the fact of toxic constituents in landfill gas mandated strict standards. The rule’s primary effect was only to encourage owners of those largest sites to do what they were financially motivated to do anyway – to install sufficient extractive capacity to prevent gas buildup inside from blowing out the expensive covers installed over closed landfills. But, a pressure relief value was manifestly inadequate to protect neighbors, nonetheless seriously reduce greenhouse gases. In both cases, the agency acted as if it were predominately preoccupied with accommodating the regulated industry’s desire to minimize costs, and exhibited scant concern for protecting public health or the environment, as the law required. However, it is difficult to review the history of landfill practices and reach a conclusion that today’s rules are intended to achieve the objective, set forth in the applicable law, to insure that, “at a minimum ... there is no reasonable probability of adverse effects on health or the environment” [at §6944(a)]. For the repeated practice, which continues to this day, suggests a disinclination to spend more than the minimum necessary to address concerns. Ironically, many of those concerns are an unintended consequence from the prior attempt to staunch problems perceived earlier. Studiously ignored has been the disturbing implication from this recurring predicament of wholly new problems arising out of the same on-the-cheap efforts to patch over earlier tribulations. Most likely, this indicates that land disposal of biologically active and hazardous wastes – the primary source of environmental threats – can never be made feasible and safe. Historically, those worries over garbage dumping originally focused on epidemics, then on odors and nuisances, then contaminated drinking water and explosive landfill gas, and most recently global warming. Reluctant efforts to respond to those concerns did not appear to extend much further than papering them over. Initially, that was done by moving the wastes to other places, further away, and ultimately, to shift the occurrence of their impacts into the future. Dumped into the street. Except occasionally in ancient Greece and Rome, from prehistoric times through the modern era, people typically tossed their slop out the window into the streets, which is one of the reasons ancient archeological sites have had to be excavated – for street levels were raised by the mounds of offal, and hovels were rebuilt on top of the decomposed remains. 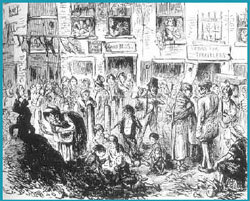 Also left on the streets by the 18th and 19th centuries was horse manure, along with ash bins from burning coal. The trash in the streets was picked over by roving bands of dogs and pigs, and rummaged through by rag pickers and dust men, as happened as recently as in Lincoln’s Washington during the Civil War, in many other American cities until the end of the 19th century, and in poor parts of the world where it continues to this day. Epidemics. In reaction to the cesspool in the streets, a Sanitary Movement rose up by the end of the 1800s, led by heros of that age such as Col. George E. Warren and his white wing army of carters in New York use horse drawn wagons to pick up and haul trash away. 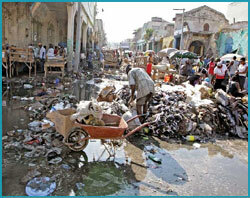 That movement had been animated by the fear that epidemics were caused by a miasma arising out of the cesspools in the streets, causing diseases such as cholera, which, each summer, brought diarrhea, vomiting, leg cramps and often death. So, instead of throwing trash onto the street, the garbage was carted to nearby swill yards to be fed to the pigs (this having been in the days before packaging). Swill yards. Feeding pigs garbage and then eating the slaughtered hogs often caused trichinosis, which led to nausea, heartburn, diarrhea, muscle pain, and fever, and, in some cases, paralysis and death. Open dumps. Trash was loaded on scowls and taken out to sea – until the detritus washed back onto shore – and then was simply dumped in the nearest uninhabited swamps and ravines, just beyond where the city’s street lamps turned into corn fields. When these pits filled, they were set on fire to reduce the volume and provide space for more, reviving the practice from Biblical times, such as Golgotha outside Jerusalem’s walls where Jesus was crucified. Later, inert rubble and ash began to be used to fill marshes and create more developable land, which is how the name “landfills” came into general parlance even though the actual practice soon fell into disuse. Foul nuisances. With the advent of the automobile at the beginning of the 20th century, the wealthy fled the squalor of the cities for the suburbs, only to find themselves amidst open dumps, such as the “valley of ashes” F. Scott Fitzgerald saw as he took the train back to the City from Long Island and memorialized in The Great Gasby. 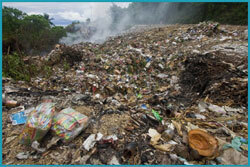 Demand grew to eliminate the nuisance that open dumps created. Sanitary landfills. In 1937, Fresno’s legendary Public Works Commissioner Jean Vincenz developed the first systematic attempt to manage the obvious odors, rodents and litter associated with open dumps. Each day, he had the city’s trash compacted and covered in trenches with a few inches of dirt in an attempt to suppress odors, vermin and litter. He called the result “sanitary landfills.” After WWII, this new design, on which the accolade state-of-the-art was first conferred, continued widely in use, with small variations, until the 1980s. Contaminated drinking water. Heralded by the publication of Rachel Carson’s Silent Spring, the 1960s saw an awakening of environmental consciousness. Much of that concern was directed at contaminated drinking water state-ofthe- art sanitary landfills that leaked pollutants into drinking water supplies. Natural attenuation. The proponents of landfills attempted to brush these concerns aside, claiming that the underlying soil possessed a capacity to bind with and hold onto contaminants passing through the saturation layer under the landfill. Since there was no shortage of dirt under most sites, this approach also attracted industry’s interest because it cost nothing. “Natural attenuation” was what doing nothing was called, as well as their being designated as the new state-of-the-art facilities. Superfund listing. Claims for natural attenuation only worked for a short while before running aground when wells adjoining the state-of-the-art landfills were found to be contaminated. The acute publicity that surrounded the disaster at Love Canal only fostered that public perception, even though the Niagra Falls disaster involved buried barrels of toxic chemicals. This untoward denouement eventually forced many of those state-of-the-art facilities onto the Superfund list, including, ignominiously, the award winning, but no longer state-of-the-art, Fresno landfill. Ironically, being censured did not disqualify the site in 2001 from be listed as a National Historic Landmark, although when its concomitant status as a Superfund site came to light, the designation was hastily withdrawn. Liners. Initially, after natural attenuation was rejected, the industry proposed siting future landfills in areas with clay rich soil, or barring that, by trucking in clay to lay down a lining they claimed would prevent leaks that would contaminate groundwater. But, in 1984, a California legislator demanded Solid Waste Assessment Tests to validate whether clay would really prevent leakage, which found that clay would only slow down leaks for a few years at best. Next, engineers began experimenting with so-called composite geomembrane liners, spread above a twofoot layer of clay-like soil. The typical thin sheeting was made from a plastic called high-densitypolyethylene (HDPE), about the thickness of a credit card – the kind often used on flat roofs of houses. The industry quickly labeled these lined sites, which in 1991 were incorporated into EPA’s first minimum federal standards, as the new state-of-the-art facilities. Landfill gas explosions. Debilitating though they were, modern landfills’ problems were not confined to groundwater contamination. As early as 1957, technical journals reported that methane had been observed leaking beneath the ground from sanitary landfills, which is something that had not been seen from open dumps. What sanitary landfill developer, Jean Vincenz, had not anticipated was that compacting and covering garbage kept out air, and without oxygen decomposition occurs anaerobically, generating methane rich gas instead of just carbon dioxide and water. As well as migrating underground to nearby dwellings, methane was both explosive and, as later determined, a virulent greenhouse gas. Then, in 1965, a little boy playing next door to the Montebello landfill east of Los Angeles, badly burned himself as he lit a match in small hole he had dug. A later investigation found the accident was due to leaking landfill gas, but the report elicited no reaction from the industry or regulators. Three years after that in the early hours of September 26, 1969, 25 national guardsmen were severely burned when the armory where they were at training in Winston- Salem, North Carolina, suddenly exploded in a giant ball of flames from methane gas produced in a nearby landfill that was ignited by a soldier’s cigarette. For the years that followed, explosions all too regularly rocked adjoining buildings, threatening people’s lives. The annoying smells, vermin and smoke that previously afflicted open dumps – bad though that had been – were now replaced with this all too visible, and violent, threat to life and limb. LA Sanitation District moved to act. Even though landfill gas explosions could kill people, for the next four years after the near fatal Winston-Salem fireball and nine years after Montebello, the Los Angeles County Sanitary Districts – the premier elite waste management organization in the world – ignored the implications of both those disasters, as well as the little old ladies in their own district who complained about roses wilting near the agency’s Palos Verdes landfill in Rolling Hills Estates, a genteel equestrian community south of LA. Then, late in 1973, the District received a peremptory wake up call. The Covenant Church that adjoined the landfill was blown up. Again, methane was found to have migrated out of the landfill site, eventually finding its way along utility pipe channels to the pilot light in the building’s water heater – by a divine stroke of luck – not when the pews were filled with parishioners. Finally, over next two years, through trial and error, first with interception trenches, and, when that did not work, with extraction piping, the District worked out the essentials for landfill gas collection. 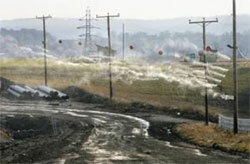 EPA delays action on landfill gas explosions. However, as far as EPA was concerned, no efforts were required to be done to prevent further tragedies, even though in 1975 Congress specifically directed EPA to issue guidance. The agency took four years to officially corroborate that the cause of the Armory explosion laid with methane from the nearby landfill. Then, it did nothing to follow up on that disturbing fact by encouraging changes needed to avoid anymore explosions. 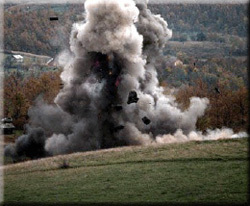 In fact, in 1979, a decade after those two dozen troops in North Carolina were almost killed, they blandly observed in passing, still without taking any concrete action, how there appeared to be some sort of connection between its admonitions for landfills to use tighter covers, in an effort to prevent infiltration of precipitation, and an increase in reported explosions. Not until 34 years after the first reports of landfill gas explosions did anything happen. In 1991, EPA promulgated the first minimum federal standards for landfills pursuant to a law that had been enacted in 1984 in reaction to Love Canal. Those rules required monitoring of subsurface methane leaks and actions to prevent it. Fortuitously, but largely through inadvertence, the rules’ requirement for composite liners also acted as a barrier to prevent underground methane excursions if they were installed properly. Resolving the fundamental problems, however, continues to remain elusive, as the cost of actually doing so would price landfilling out of the market relative to its competing alternatives, such as recycling. In the face of lobbying by the waste industry, elected officials’ and regulators’ actions suggest that they are loathe to do that. The following table summarizes EPA’s rules for groundwater and for air, along with a short summary of the rules’ limitations, with details and documentation provided in the hyperlinks. Essentially, while the rules were in most cases an improvement over the open dumps that had come before, they largely failed to fulfill the promise to protect public health and the environment contained in the controlling statutes. “Nickname” is the “Subtitle D” rules (named after the section where its authority is found in the authorizing statutes, the Hazardous and Solid Waste Amendments of 1984), which was issued by EPA in 1991, and is found at 40 CFR Part 258. Postclosure maintenance rules to care for the site for 30 years, and financial assurances to partially cover some long-term liabilities for those 30 years with up-front guarantees. Threat outlasts protections. Garbage remains a threat for as much as “thousands of years.” While today our trash is no longer tossed into gullies and marshes, municipal waste is typically piled pile up mostly above the ground in the shape of a pyramid, extending over hundreds of acres and reaching hundreds of feet high. These mega-sized landfills are so enormous, they would dwarf thirty of the Pharaoh’s great tomb at Giza. In an effort to isolate these garbage mountains from the environment inside a so-called “dry tomb”, EPA rules require them to be shrouded in a giant diaper. But, instead of using large stones like the Egyptians, the barriers used today are the same thin sheet of plastic (the thickness of a credit card) common to the flat roofs of houses, which can tear, be punctured, get brittle and crack. Also interspersed across the site is PVC extraction piping intended to remove leachate, or garbage juice, which drains to the bottom, and capture gases generated from rotting food and paper. Unfortunately, like the rubber roofs on and plumbing in houses, which need to be repaired often and replaced every couple of decades, the liners and pipes do not last forever. When they fail – which is especially likely to occur decades in the future if the site is abandoned and no longer maintained – pollution will leak into groundwater, lakes, and streams and methane will be released into the atmosphere. Leachate lines clog. The liners that are laid on the bottom of a landfill effectively make the site into a giant bathtub. Since rainfall freely enters the site while it is open to accept trash, and may continue to do so through tears in the cover after it is closed, EPA concluded that a drainage system is essential to prevent accumulating water from damaging the liner and eventually overflowing. Other experts add that rising water also threaten site stability. To extract the leachate that drains to the bottom of the landfill, perforated pipes, called leachate collection lines, are required to be laid in 20 foot segments about 200 feet apart above the bottom liner in lengths, which extend almost a half a mile in megafills. Unfortunately, over time pipes this long are difficult-to-impossible to clean out from the ends, and there is no way to clean out the perforated holes if they clog, nor the gravel beds that the pipes are set in. Pipe clog. Microbial and chemical reactions can create blockages inside the pipe and in the perforated holes in the pipe. Gravel clog. Gravel drainage beds, which are meant to prevent blockages and maintain flow to the pipes, can themselves clog, especially if the wrong type of gravel is used or if the geotextile screens used to block out debris that would fill the spaces between the gravel itself clogs. Joint breaks. At every joint where the 100 or more segments in dozens of long lines are glued together, there is another possible failure point if the glue fails or if the segments were not installed in a straight line. Maintenance to keep the lines is spotty and often ineffective, and once clogged, little can be done because the cost to dig through so much garbage is prohibitive. When they do become clogged, leachate will accumulate in growing pools, or “heads” over the liner, weakening its integrity [Section 4] and leading to leaks through the plastic, and, if the head becomes too large, threatening site stability as pore pressures on the liner increase, sheer strength declines and the site becomes to saturated to retain its structural integrity. Sometimes vertical relief wells drilled down into site in an attempt to extract some of the leachate head, but this is rarely effective. Disturbingly, regulators have studiously avoided any comprehensive investigation of clogging problems, and organized record keeping for citizens to examine is non-existent. But early reports found 64 blocked lines in 14 Wisconsin landfills, suggesting that pipe blockages are a common occurrence [p. 124]. Depending upon the size and location of the landfill and the extent of the failure, clean up costs could run from tens to more than a hundred million dollars. Because the problem is systemic to many landfills, rather than being isolated to a single act of god, as these occurrences mount, the owner of the landfill couldn’t possibly pay, even if he or she was still around and wanted to. In 1998, a single catastrophic cover failure occurred during heavy rains at the Sunrise landfill near Las Vegas. That failure discharged garbage, medical wastes, sewage sludge, asbestos, construction debris and soil contaminated with oil into the Las Vegas wash which feeds Lake Mead, the main source of drinking water for Las Vegas and Phoenix and parts of California. Republic Services, the landfill’s operator, vigorously opposed EPA’s order for long term remediation of the site, finally signing a consent agreement in 2008. Clean up costs exceeded $66 million. Interestingly, the company was able to afford to afford to give its executives bonuses worth twice that. Adding up clean up costs for hundreds of failed landfills and that puts taxpayers on the hook for tens of billions of dollars. Reckless exceptions. The fire at the Republic Countrywide landfill in Ohio, which began in 2006 and continues to this day, exemplifies the failure of landfill regulation in the U.S., and the very serious consequences that can ensue when exceptions are issued with inadequate review, and, in some cases, recklessly. The Countrywide case is even more tragic because, there, some of the regulators wanted to do their job, which is something that cannot always be counted on. In many cases, such as this one, landfill owners brought political pressures to bear on regulators who attempted to enforce the law and protect the affected public. In August 2006, Gina Gerbasi from Ohio EPA’s Columbus office in the State Capitol sat down to read field reports about Republic Service’s Countywide Landfill in Stark County south of Canton. Included in the charts and tables were indications of higher temperatures, abnormal settling of waste, severe odors, hydrogen gas, carbon monoxide and benzene emissions. She immediately concluded from this tell-tale data that there was a subsurface landfill fire at the site. The costly and implacable nature of underground blazes was well known to the industry, which called into question, Republic's repeated refusal to acknowledge the fact, even as the terrible odors kept getting worse. In the end, Countywide was found to be experiencing one of the worst and most costly landfill fires in the United States. At last count, it has lasted 11 years, with no sign of abating, has inflicted upon neighbors especially noxious odors, headaches, nausea and an elevated risk of cancer and birth defects. To date, the fire is reported to have cost the company more than $100 million and the state, upwards of $1 million. With reporters descending on Pike Township from Canton, Akron and Columbus to see what all the hullabaloo was about, a local pilot took it upon himself to fly over the site with an infrared camera. His revealing photographs showing wide swathes of elevated temperatures at the Countywide site strained Republic’s efforts to deny the fire to the breaking point, as did a similar report that concluded there was an underground fire by a nationally known landfill fire expert that the state office had retained. Ultimately, Republic was forced to concede the irrefutable fact of a major fire when it was confronted by US EPA investigators, who had flown in from Washington, with unprecedented in situ temperature readings above 276°, which compare to normal landfill temperatures of less than 140° and temperatures in typical fires that do not exceed 250°. But still, no substantive action came until Republic saw that the fire might spread to other open sections of the landfill that were as yet unaffected, and where the company was still receiving tipping fees to accept more trash. Finally, it consented to the issuance of an order for it to dig a fire break so the flames would not spread to those active areas where revenues were generated. That task involved excavating wastes out of an area 700 foot long by 400 foot wide by 80 high, moving enough trash to fill Akron’s Rubber Bowl twice, after which it confidently assured the community that the fire would burn out in two years. Republic also covered the area affected by the fire with a plastic sheet to damp down odors and keep out rain. Action at the scene did not, however, include anything to address the inescapable fact that temperatures were measured with probes to have been 250° within 20 feet of the liner, with the temperature of liquids next to the liner and leachate collection system, at about 180°. That was higher than is established to cause damage those barriers, but, unfortunately, was not in a part of the site where revenues continued being generated. As the drama in Stark County unfolded, the Ohio EPA officials in Columbus started digging through the files in the agency’s Southeast field office in Twinsburg to get a handle on the source of the fire. There, Gerbasi and her colleague, Jeff Martin, learned that, over the years, Countywide previously accepted an industrial waste, aluminum dross. Even though dross was not the relatively benign household wastes that the facility was designed to manage, adding volumes did boost receipts. Accepting aluminum dross raised alarms in Gerbasi’s mind because in 2005, she found local office had gone on to approve the company’s request to flood the landfill with liquids in an unrelated effort to speed decomposition and thereby recover more airspace to resell a second time. She was appalled because the local field office appeared to have been so anxious to rubber stamp anything the firm wanted, it had ignored an earlier memorandum from US EPA that had specifically warned that mixing dross and liquids was a prescription for fire. Most likely the eleven year old fire at the Countywide Landfill continues to be fed by compounding problems from the initial events injecting liquids as far back as 1996. The course the fire has taken also provides strong evidence of the significant damage done to the underlying barriers. An attempt was made to seal off the landfill by covering it with a plastic sheet. Unfortunately, as the original fire burned through the buried trash, a void was created where the garbage was reduced to ash. That caused the overlying waste burden to collapse into the empty space. In turn, that led the surface of the landfill to settle, which next caused tears in the cover, allowing rainfall back into the landfill. Normally, like the drain in a bathtub, the leachate collection system (LCS) is charged with withdrawing the leachate, because if more than a foot of that garbage juice, laced with caustics, alkalis and solvents, sits over the liner for extended periods, it can degrade the performance of the polymers. The fact that the landfill remains so wet that vertical relief wells need to be drilled is an indication that, along with the damage to the liners, the LCS is also too degraded to effectively function. Consequently, the part of the landfill where the fire occurred would need to be excavated to protect neighbors. Martin became so outraged by the local office’s dereliction, he filed charges – which he knew was a career ending act – that the agency’s local agents on the scene had become more concerned with protecting Republic than the public. Also, they charged that the local office engaged in a deliberate game of setting up private “desk files” to keep critical information out of the public domain, and then turned around and leaked what was actually confidential investigative files and prosecutorial documents to Republic. The complaint then alleged that the local staff in Twinsburg deliberately “sabotaged” the state’s efforts to require remedial action. Instead, what the local office did do was to support the company’s denials that there was a fire, and encouraged the firm in its efforts to increase misting in an attempt to mask the noxious odors that had led to hundreds of complaints. More important, if the risk of future groundwater contamination is to be minimized, the landfill’s barrier systems must be returned to their original functionality. Twinsburg vigorously supported Republic’s rejection of Columbus’s conviction, based upon contamination investigation found outside the landfill, that the liner had been breached. Although the fire in Stark County is no longer at risk of spreading further, internal temperatures remain around 250°, indicating that the fire continues to rage unabated, notwithstanding Republic’s assurances in 2006 that the it would burn itself out in two years. Back in Columbus, as Ohio EPA Director Chris Korleski went out of his way to express his “utmost confidence” in the local staff who attempted to hide the existence of the fire, the whistle blowers were eased out or transferred, after a “deliberate program of harassment” to less politically delicate duties, along with their concerns that the liner and leachate collection systems needed to protect groundwater had been damaged in the fire. 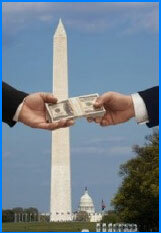 The Inspector General who investigated their complaint closed the case after limiting his review to whether Twinsburg staffers had violated criminal laws by taking a bribe, while declining to look into the equally disturbing ethical issues involved in far more insidious regulatory cooption. Today 600 of the original 800 neighbors remain in a class action suit against Republic seeking the justice that they believe was denied them by the company and by the regulators who are supposed to protect the public. Closure. Properly close the site at the end of its operating life, including a final cover to minimize infiltration of rainfall. Post-Closure Care. For generally 30 years after closure, maintain and monitor the site by mowing the grass and periodically checking the readings on the monitoring equipment, as well as, although no pre-funding was required for this, repairing the cover and leachate collection system. Financial Assurance. Use one of eight mechanisms that appear to, but often do not actually, provide financial assurance that there will be the necessary funds for only routine maintenance over the first 30 years after closure, and never for repairs, clean ups or compensation to injured neighbors. Only routine care. Provides just for routine care, such as grass mowing and checks of monitoring equipment. Care only 30 years. Only requires that routine maintenance for 30 years, while the threats persist for centuries. Major maintenance ignored. Ignores the inevitable need for major maintenance, such as replacement of the final cover, which could cost more than $20 million for a large landfill. Remediation ignored. Also ignores the distinct possibility of needing to clean up massive and costly site failures in the event the cover is not rigorously maintained forever. Third Party Injuries ignored. Similarly ignores compensation for the impact on the lives of the people living near the landfill after the facility is closed. Assurances limited. Confines financial assurances to just 30 years, and only for minor maintenance, with instruments, such as corporate IOUs (called financial means tests or net worth pledges), which fail to provide any real assurance anytime. “Nickname” is the “landfill air rule,” which was issued by EPA in 1996, to comply with the Clean Air Act Amendments of 1990, and is found at 40 CFR Part 60 Subpart WWW. Coverage. The largest 5% of landfills were covered by the requirement to install some control. Abatement system. Landfill operators are required to install an active gas collection system, but not until after the site has been open for five years. The system is to consist of perforated wells drilled into the landfill, spaced hundreds of feet apart, and connected at the surface to an exhaust system to pull gas. The system must be designed by an engineer, who is hired by the company, but otherwise it does not need to comply with any specific parameters for such a system that the agency found work well. Monitoring. In lieu of prescriptive design requirements, as a check on the system’s performance, the operator is, four times a year, to use an instrument that sniffs for high methane levels about every hundred feet on a grid over the top of the land• fill. Postclosure operation. Continue operating the gas collection system after the site is closed for approximately half of the 30 year postclosure period. Most landfills exempted. Also, unlike the European Union where all landfills are covered by the air rule, in the United States, EPA’s singularly vague rule not only allowed the owner near complete discretion over the design of the system. In addition, the rule only covered the largest facilities, generally those designed for more than 2.76 million tons of waste. That extremely high threshold for coverage exempted 95% of landfills [p. 9914]. Flexibility abused. EPA justified its rule, which only provided the most general guidance, by claiming the flexibility [p. 9907] it afforded would unleash industry to innovate and, thereby, abate emissions more effectively. Subsequent events have only shown the opposite. Here are some examples of how the “flexibility” in the air rule was exploited and extended into the Subtitle D rule, which EPA’s air staff accommodated, as well. Well spacing. A key indicator [p. 3.1.2] of the effectiveness of gas collection is how close the gas collection wells are to each other, because the zone of influence of the vacuum around each well can only reach so far. Gases generated further away than the negative pressure gradient extends will escape. Consequently, with more widely spaced gas wells, a higher fraction of that gas will escape. Normally, that would lead to mounting odor complaints, especially on hot humid days. But, the development of perfumed misters has made it possible to disguise much of the problem, though, the fact that, even with perfuming, odor problems mount, tells us what a dubious result flexibility has produced. Without an enforceable and enforced emission standard, the landfill owner’s financial motivation is not to incur significant expense to reduce external costs, especially when odors, which otherwise elicit complaints, can be masked more cheaply with misting. Cover changes. It is firmly established that gas collection systems require a tight seal [p. 3-2] on top in order to function, for otherwise air from the surface will be pulled in and mix with the methane creating flammable conditions [§60.753(c)]. Nonetheless, time and again, the private waste industry has pushed through ad hoc changes in the design and operational requirements in the Subtitle D rules, described below, which have had the effect of massive increases in fugitive methane emissions. First, instead of 6 inches of dirt as daily cover to reduce problems with rodents, sea gulls and odor, they pushed for alternative daily covers, chiefly retractable tarps, which not only cost less, but more important, did not unproductively use up 10%-20% of the available volume in the landfill, called “air space”. Unfortunately, tarps never provide any oxidizing benefit as would a half foot or more of dirt, and, in addition, the next day the tarp would be retracted from the working face permitting even more gas to escape completely unhampered. Second, in the normal course of events, as each section of the landfill filled up, decomposition abetted by infiltrating rainfall and settlement recovered 10% of the airspace. This allowed the recovered space to be resold a second time before the final cover had to be installed. In an effort to double up on free money, the industry informed EPA that it would no longer comply with Subtitle D’s “dry tomb” precepts, and instead they would delay installation of the cover and also recirculate the leachate in order accelerate decomposition. This enabled the companies to recover 20%-25% of the space to sell a second time, which is more than twice as much as before, while possibly delaying installation of the final cover, which is critical for gas collection systems to work. Third, when landfill owners attempted to comply with Subtitle D’s requirement to have a composite cover [§§ (a)], in most cases consisting of 2 feet of vegetative and drainage layers above the plastic and clay liner, they found that the dirt sloughed off the slippery geomembrances on the steep side slopes, which EPA had acquiesced to. Instead of shifting to shallower side slopes on which the protective layers could stabilize, landfill advocates pushed through an exception for alternate covers [§§ (b)] without plastic liners. New studies that use elaborate scanning technologies to survey the entire surface of a landfill have now documented that, when there is no plastic sheet, there are massive increases [p. 195] hundreds of times greater in escaping methane, which has more than 33× the warming impact of CO2. Yet, EPA has yet to act to raise any concerns with the changes in landfill operation, which, although they decrease costs and increase revenues, come at the expense of significant increases in toxic and greenhouse gas emissions. Inherent design flaw. EPA’s rules generally don’t require any attempts to collect the gas for the first five years, even though a good deal of gas is generated before then. Worse, in order to boost profits, a growing number of sites ignore the requirement to keep the sites dry. These landfills accelerate decomposition while the site is still open by adding sewage sludge, recirculating leachate and delaying installation of the final cover to let in more rain. The voids created by enhanced decay recovers about a quarter of the space in the landfill to be re-sold a second time, but at a terrible cost since much of that souped-up gas generation is uncontrolled [p. 36463, left hand column]. Then, 30 years after the site eventually closes, which is as long as the owner is required to maintain the site, the gas collection systems will have been turned off, and, without anymore care, the cover will inevitably deteriorate. As California and other state regulators concluded, that will revive a second wave of gas generation [select the "Presentation 1" attachment, at Slide 10]. Against all these obstacles, the landfill adherents argue that, somehow, more than 95% of the gases are captured [p. 10]. They justify this claim by focusing only on the best run sites during the short time when the gas systems are at their peak. Fortunately, there is an official referee for GHG accounting – the Intergovernmental Panel on Climate Change (IPCC) – which has explored the issue in depth. The Panel acknowledged the possibility that the best landfills might achieve very high capture rates when there is functioning gas collection and the site is sealed. But, of course, the best of the best has little to do with typical long-term impacts. The IPCC pointedly noted the best operated is not the same as the average landfill. More importantly, it found most of the “fugitive emissions from landfilled waste [occurs] prior to and after the implementation of active gas extraction; thus estimates of ‘lifetime’ recovery efficiencies may be as low as 20%” [p. 600]. 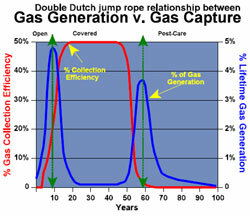 Essentially, when gas generation is high, gas capture is low. Only when there is little gas is capture high. It’s like kids’ “Double Dutch” jump ropes, as shown in the CHART. Monitoring nearly worthless. The wide flexibility provided by the landfill air rule was justified by claiming that there would be a reliable performance test to insure that, even though the decision on how to collect gas was largely left to the permit holder, the landfill would be operated properly to minimize emissions. However, the test that was selected was inapplicable to most landfills. Four times a year the operator is to use a device to “sniff” methane concentrations about every 100 feet in a grid to see if the levels were more than 500 parts per million (ppm). This sort of test only works when emissions are diffused. In fact, most emissions from landfill are in high fluxes through cracks in the 2' to 3' clay liner or tears in the plastic sheet, or from the working face, all of which are scrupulously ignored in this test. First, there is no scientific basis for selecting 500 ppm of methane as the performance level. It came from a case by California’s South Coast Air Quality Management District’s in 1985 in an effort to reduce odors to respond to pending legislation. The District found complaints increased when methane exceeded those levels, which has more to do with wind conditions and the size of the exclusion zone at the few landfill studied in Southern California nearly 30 years ago, Linda Basillo, et al., Staff Report on Proposed Rule 1150.1: Control of Gaseous Emissions from Active Landfills (South Coast Air Quality Management District, February 19, 1985, at pp. 5-6, than the current generation of landfills, nonetheless a coherent climate action plan. Indeed, in 1991, when the EPA issued its proposed landfill air rule, which was a prescriptive standard, it specifically rejected the sniff test because of its numerous failings as a measurement technique. 56 FED. REG. at 24492 (May 30, 1991). Second, the type of monitoring protocol in the air rule, in which flux boxes are placed at approximate equal distances from each other about 100 feet apart in a grid across the surface, can only produce reliable results if the emissions are diffused fairly equally across the surface of the landfill within reasonably defined variability. AEA Technology, Methane emissions from UK landfills (UK Department of the Environment, Transport and the Regions, 1999, at p. 2-9. In fact, this is not the case for capped landfill cells, where most gas escapes in high fluxes through tears in the geomembrane, or through dessication cracks in compacted clay liners. In the case of 10 tears in the membrane laid over a megafill, probability laws tell us would be as likely as 1 in 2,000 times, and to observe all ten, 1 × 10 . Harnet Murphy, -38 Statistical Analysis for Business and Economics (3rd Ed.) (Addison Wesley Publishing Co., 1985), at p. 231, using a Poisson distribution. Consequently, the required monitoring will be highly unlikely to detect problems, except by very rare chance, even if undertaken without purposeful intent to manipulate the results, such as conducting the tests on days with high barometric pressure, or on typical days but in the early morning, or by nudging the sample a foot away from brown vegetation. In that the operator is given a second chance to produce readings under 500 ppm were an exceedance actually found, 40 C.F.R. §60.755 [Subsection (c)(4)], cannot but insure that creative sampling will be used. Finally, the rules actually authorize operators to exclude from the sample the very areas where these tears and cracks are most likely to occur, along with the exposed working face or on the side slopes where most gas also escapes. 40 C.F.R. §60.753 [Subsection (d)]. EPA staffers explain the agency’s decision to, use the sniff test in the final rule, even though it had earlier found the test inadequate, when, in 1996, it decided to switch from the proposed prescriptive to a performance standard in the final rule. It needed to quickly find something to serve for the performance text, regardless of its reliability, and the sniff test was the only one at hand. Violation of law. §112 of the Clean Air Act Amendments of 1990 (CAAA) requires significantly stricter Maximum Achievable Control Technology (MACT) standards for listed sources of hazardous air pollutants (HAP), 42 U.S.C. §7412 [Subsection (c)(2)]. Beginning in 1991, EPA has repeatedly acknowledged that §112 applies to landfills because 12 of the listed HAPs are emitted by landfills, including the suspected carcinogens benzene, carbon tetrachloride, chloroform, ethylene bichloride, methylene dichloride, perchloroethylene, trichloroethylene, vinyl chloride and vinylidene chloride. Yet, it refused to implement §112 for landfills because, initially, the agency said, it “could not determine [from the existing literature] reasonable estimates of annual incidence ... of the cancer risks.” 56 FEDERAL REGISTER 104, at 24468, 24470, 24472 and 24474 (May 30, 1991); 61 Federal Register 49, at 9917 (March 12, 1996). Of note, the reason that EPA could not find statistical significance of adverse health outcomes from living near landfills was not because the significance is intrinsically unknowable, but rather because no one has yet committed the resources to conduct a proper study. Without such resources, the several studies that had been done (State of New York Department of Health, Investigation of Cancer Incidence and Residence Near 38 Landfills With Soil Gas Migration Conditions, New York State, 1980-1989 (1998); Paul Elliot, “Risk of adverse birth outcomes in populations living near landfill sites,” 323 British Medical Journal 363 (Aug. 2001)) defined the exposed population as an expedient based upon such things as postal zip codes, which have only a vague overlap with the downwind neighbors. When possibly half or more of the studied population was not, in fact, exposed, when no attempt is made to determine individual exposure to epidemiological bio-markers, reliable statistical inferences will inevitably remain elusive. At best, this excuse could only have been justified in 1991 when it was first raised. But, that was more than 20 years ago, and, especially in light of the agency’s repeated statements of concern about environmental justice, it strains credulity to maintain that the resources could not have been found for a valid study design in all of that time so that the area sources, such as landfills, could have been fitted for MACT rules. One among many places from which funds could have been shifted without impacting the agency’s other bona fide objectives is EPA’s 33 corporate partnership programs. This voluntary program achieved such notable accomplishments as awarding an EnergyStar certificate to a mock gasoline-powered alarm clock submitted by government auditors who found “this pattern is rampant throughout the partnerships,” Government Accountability Office, Energy Star Program: Covert Testing Shows the Energy Star Program Certification Process Is Vulnerable to Fraud and Abuse (2010). For all the millions spent, and staffing diverted from permitting, no statistical evidence could be found that corporate behavior had been substantially altered, other than providing greenwashing benefits, Thomas Lyon, “Environmental Public Voluntary Programs Reconsidered,” 35 The Policy Studies Journal 4 (2007). In the end, distinct from its unwillingness to fund the requisite studies, EPA’s subsequent acts create the disturbing inference that its claim to have had its hands tied by a lack of evidence may not have ever been raised in good faith. For in 1999, with the 10-year deadline for action on categorizing the most important area sources looming, 42 U.S.C. §7412 [Subsection (c)(3)], EPA was no longer able to deny that, in order to reach 90% of the toxic emissions in urban areas, with or without actual studies of their incidence of cancer, landfills would have to be included. 64 FED. REG. 137, at 38706 (July 19, 1999). If the statutory mandates had then been adhered to, that would have required the imposition of stricter MACT standards under 42 U.S.C. §7412 [Subsection (d)] were it not for the agency’s continuing determination to prevent the imposition of any regulatory costs on the landfill industry, no matter how necessary to prevent the externalization of health costs onto the public. For in 2003, EPA pretended to comply with §112, while actually doing nothing of the kind. In an order that declared it complied with the section, all it actually did was state that “the final [MACT] rule contains the same requirements as the [Best Available Control Test standards],” 68 FED. REG. 11, at 2229 (January 16, 2003) – although it would be a challenge to call those earlier standards “rules” in the usual sense of the word. In doing so, EPA simply ignored the specific procedural protections that Congress imposed in order to prevent administrative backsliding, including a survey of the top 12% performing sources as a proxy to objectively quantify what was maximally achievable [Subsection (d)(3)(A)]. For otherwise that would have found a plethora of better practices, especially at many of the publicly managed sites, which are among SWANA’s members. As an example, the Sierra Club culled the list found in to this document [Appendix B] largely from industry’s own sources. Not only did EPA fail to promulgate valid hazardous standards when it did purport to act, but also it ignored its obligations to later review those rules. EPA was supposed to have “review[ed], and revise[d] as necessary (taking into account developments in practices, processes, and control technologies) [the putative MACT standard for landfills] no less often than every eight years [Subsection (d)(6)] ” or 2011, but did not comply with that requirement either.